Boy Scouts of America (BSA). Our pack is located in Lino Lakes, Minnesota. If you ask a boy, however, he will seldom offer these reasons for being a Cub Scout. Boys have one primary reason for joining Cub Scouts, and that is to have FUN! We welcome new members at any time of the year! Kindergartenthrough 5th grade boys and parents are invited to join a Den orPack Meeting to see what Cub scouts is all about! We normally meet in the school cafeteria at Lino Lakes Elementary School on Main Street in Lino Lakes, Minnesota. Cub Scouts is comprised of Dens--which are grouped by boys in the same grade, and the Pack--which includes all of the boys in grades K-4. Den meetings vary from Den to Den but are typically on Thursdays twice a month. These are meetings to help the boys to complete their achievements. Pack meetings are typically the third Thursday of each month. This is an event for the whole family to support the boys' accomplishments and to obtain information. Each of these meeting are held on Tuesday from 6:30 - 7:30pm. Chris Koenig at (651) 464-2834 or chris.usahome@gmail.com for a hard copy or with any questions you may have. This website has our monthly calendar, links to important scout sites, and lists of scouts and leaders. Once you have joined our Pack, you will receive a welcome email from the site, which will allow you to enter the Private Site and can only be accessed by members of the Pack. Email: This is our main method of communication. Please let a leader know if you do not use email. Every parent is encouraged to volunteer to help their son and fellow scouts. This can be on a full time basis as a leader, or on a part time basis such as a coordinator for a specific event. The Pack is what all of us who are involved make it to be, and the more help and brainstorming we can generate, the better program we can put together for our boys! 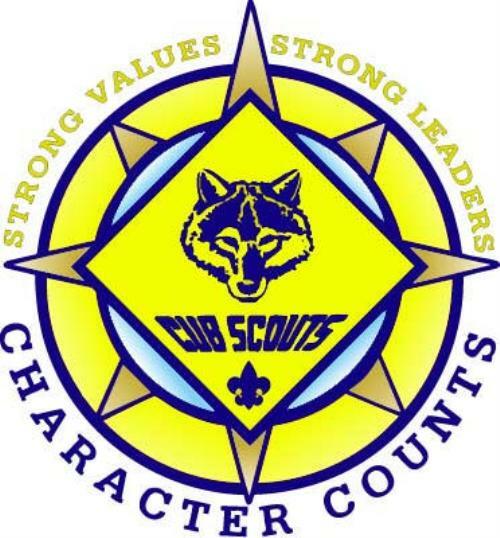 Parents are encouraged to attend all Cub Scout events and the entire family is welcome at the Pack Meetings. Uniforms may be bought at the Scout shop. Scouts should wear their uniform to all scouting events, unless the leaders recommend casual clothes. In general, our scouts wear the shirt with all the appropriate patches, the neckerchief, and the neckerchief slide. Cap and uniform pants are optional.